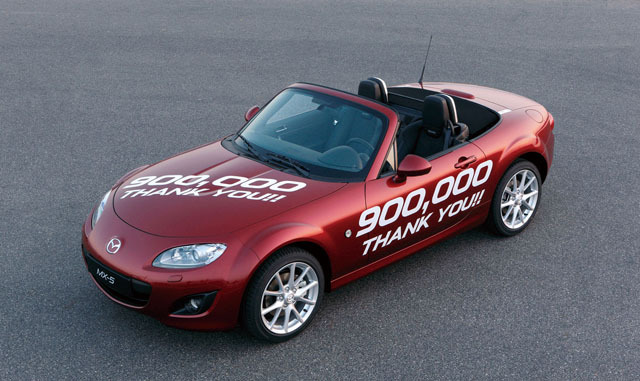 The 900,000th Mazda MX-5 (AKA Miata) rolled off the assembly line and is on its way to solidifying a new Guinness World Record for “Best selling two-seat sports car”. I think it is so cool that with all the sports cars out there in the world it is the little MX-5 that stands at the top of the mountain in sales. Congrats Mazda!